Dieser Kurs hat schon begonnen, eine Anmeldung ist jedoch noch möglich. Stockholm, the city coined the capital of Scandinavia, is like no other capital in the world. Built on fourteen islands, it rises gracefully from water so clean that you can go swimming in the very heart of the city. Its waterfront is alive with boats, from ferries to shuttle you around the city to sailboats and yachts that cruise out into the vast archipelago that stretches into the Baltic Sea. Of course getting around does not require a boat: you can walk, bike, drive or take advantage of the city’s impeccable public transportation system. Within the graceful architecture of this historic capital one can discover a cultural life of exceptional vitality. Besides being a trendsetter in Nordic design, Stockholm is home to numerous museums, palaces and a vibrant art scene, all beautifully complemented by a strong café and restaurant culture. The city is abundant in attractions and activities, both cultural as well as natural, so you can be sure that you won’t run out of things to do in Stockholm. If however you decide to escape the crowds, there are also options like going to a quiet beach, a lush forest, or even a deserted island if you like, sometimes in as little as half an hour. 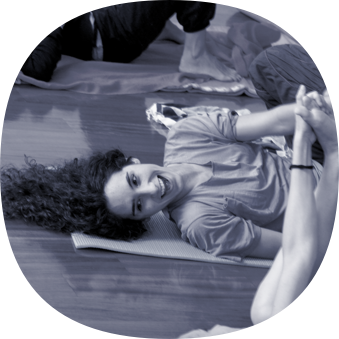 Sweden is home to a well-developed Feldenkrais community made up of numerous good practitioners. In bringing a training program to Sweden, Instituto Feldenkrais wishes to contribute to developing the Feldenkrais Method in the area. Sweden is one of the few countries in the world that charges VAT (value added tax) on seminars and education. To make it possible for students from other countries to join this course we have a scholarship program which can get you a 30% reduction on the training fees. Please contact us for more information. The first training year is divided into 4 segments. Years 2, 3 and 4 of the program have 3 segments per year. The segments generally happen in March, June and September. 1450,00 kr / Tag (erstes und zweites Jahr), 1500,00 kr / Tag (drittes und viertes Jahr). You can get up to 30% discount if you don't live in Sweden and want to participate in this training. Please contact us for more information. 17.06. – 29.06.2019 (10 Tage) Dr. Mara Fusero, Angelica Feldmann, M.A. 09.09. – 27.09.2020 (15 Tage) Paul Newton, Angelica Feldmann, M.A.